Wildfowl Photography - Ducks, Geese & Swans with Photos & information. Welcome to Wildfowl Photography. Below you will find links to Ducks, Geese, and Swans from all over the world, listed alphabetically. Each page includes information, photographs, and video. Make a use of this service for academic writing help UK essay writers for hire online. Looking for reliable writing papers services? Ewritingservice.com is your final destination Do you need help with your thesis? Professionals at thesisrush.com know their job well. This website contains photographs, videos, and information on many species of wildfowl (Ducks, Geese, and Swans) from around the world. There are also Cranes, Flamingos, Screamers, as well as Coot and Moorhen. Hopefully this will be a useful resource for identifying and learning about different types of wildfowl. Wildfowl are listed in alphabetical order A-B, C-F, G-L, M-R, S-Z and each page contains photographs, call, video and information (appearance, size, food, habitat, range (with maps), breeding season, eggs, conservation status, classification and interesting notes). To help in quickly identifying a Duck, there is a page with all 'types of ducks' which contains thumbnail photographs of most of the ducks of the world. The thumbnail can be clicked to enlarge the photograph or there is a link to more details, photographs, and video of the duck. 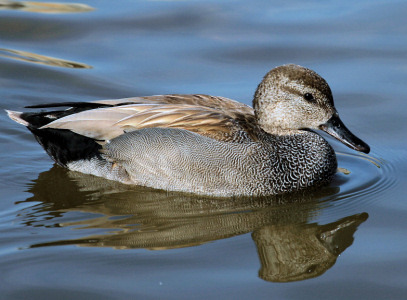 Ducks are also listed under 'Dabbling Ducks', 'Diving Ducks', 'Perching Ducks', 'Sea Ducks', 'Shelducks', 'Stiff-tail Ducks', and 'Whistling Ducks'. There are also pages containing 'Female Ducks', 'Ducks in Eclipse plumage', 'British Ducks', and 'Domestic Ducks'. To help with the terminology there is also a page of 'Duck external anatomy' which tells you the name of different parts of a duck. There is a page to help you quickly 'identify a Goose' which contains many geese of the world. Geese are also listed under 'Black Geese (Branta)', 'Grey Geese (Anser)', and 'White Geese (Chen)'. Identification pages can be found for identifying 'Swans', 'Cranes', 'Flamingos', 'Screamers', and 'Moorhen/Coot'. Many of the photographs in this website are taken at 'WWT Centres in the UK', and WWT Slimbridge in particular. There are nine WWT Centres in the UK including Slimbridge in Gloucestershire, Arundel in West Sussex, Caerlaverock in Dumfriesshire, Castle Espie in County Down, London , Martin Mere in Lancashire, Llanelli in Carmarthenshire, Washington in Tyne & Wear, and Welney in Norfolk. When bird watching abroad, make sure you have done your e111 card renewal before you travel.